At Vincent’s Den for Men, we want to keep your hair looking great every day. We carry a large selection of carefully selected, quality hair care and styling products. Only the best for our customers! We stand behind every product we sell—If you are not completely satisfied with any product purchased from Vincent’s, return it for a full refund. What began as a single, revolutionary product that pioneered a new category in the beauty industry, has grown into a full line of hair and body products, all infused with nourishing antioxidant-rich argan oil, signature to the brand. Moroccanoil is a unique brand that produces hair treatment, shampoos and conditioners, styling and finishing products, and body care products, all infused with argan oil. We make hair products for the people who live every night to the fullest. d:fi is the newest line of quality hair care and styling products at Vincent’s Den for Men. d:fi produces a great line of fun, contemporary hair products. Their product range includes daily shampoos and conditioners, volume cream and powder, extreme hold styling cream, and a variety of sprays. Nioxin produces a unique line of products for thinning hair. Since 1987, Nioxin has been developing new technologies to help their customers fight thinning hair. We carry a nice selection of scalp treatments, intensive treatments, and styling products. Made in Britain, all Scaramouche & Fandango men’s grooming products feature naturally derived ingredients, no parabens, no animal testing, are suitable for vegetarians, with a signature scent across all products. American Crew produces a high quality line of hair care and styling products. At Vincent’s you will find a wide selection of salon quality Pommades, styling creams; light, medium, and firm hold gels, shampoos, conditioners, and body care products. KMS has been producing a great line of salon quality products for 40 years. At Vincent’s you will find a nice selection of KMS products – style prepping shampoos and conditions, molding paste and spray, and finishing sprays.  At AG Hair, the meticulous selection of natural ingredients that are both gentle on hair and effective, is at the heart of their product line. Common ingredients such as salt, paba, parabens, and DEA are not included in any of their products. We carry many AG Hair products, such as shampoos and conditioners, repairing products, curl, volume, and styling products. Developed with the collaboration of celebrity barbers and stylists, Woody’s is directed at the man who is looking for a simple, comfortable daily regimen that offers basic, no-frill products that smell good and get the job done. Woody’s Grooming offers a robust line of hair care, hair styling, body care, and shaving products. This luxury brand from Scotland founds its roots at the historic Castle Forbes Estate. The line includes a range of shaving creams, after-shave balms, and fine colognes. Castle Forbes products are made from only the finest essential oils and ingredients.